Success is relative in the high stakes world of professional sports. The goal, always is a championship so there are no participation ribbons for players and especially coaches. If there isn't progress toward that championship then heads roll. 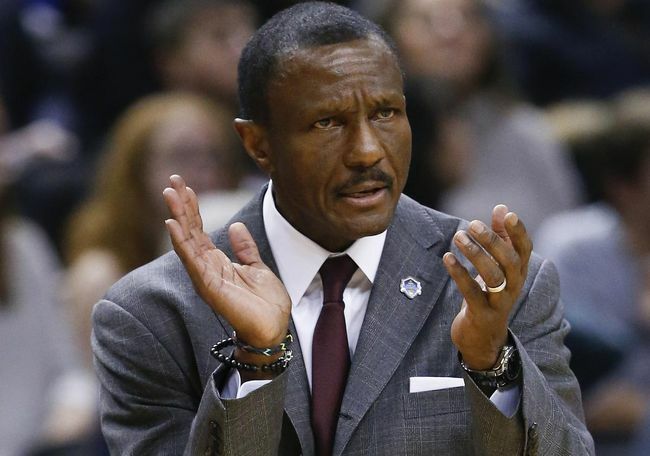 Such was the case for Toronto Raptor coach Dwayne Casey. He has been a consistent winner during the regular season and this last year the team recorded it's most wins ever. His peers named him coach of the year, a unique honour in that coaches are deciding who is best amongst their fraternity. The reward for all this? Casey was fired because the team was a bust in the playoffs -- again. That's the way it works. He was always a stoic and classy guy during his seven-year tenure with the Raptors and he left that way. He sounds all the right notes from my perspective: consideration, diversity, common ground, human rights. It is high praise for Canada and we can only hope that we live up to these observations. As we approach a provincial election I pray that we make the decision for leadership which will uphold these values. One candidate is under scrutiny for making "take care of our own first" comments over the weekend, but he is still the frontrunner for premier. As a Christian these values of generosity and equality are essential in my understanding of how we live the gospel. Through the years I served congregations which included strong social ministries and outreach, none more so than my final church, Bridge St. UC. Sadly, there were always some members who resented that we seemed focused outward, as though self preservation and navel-gazing are the Way of Jesus. They aren't, ever, and acting that way is a discredit to Christian living. I'm impressed by the legacy of Dwayne Casey as a coach for the Raptors but perhaps more grateful for his reminder of who we aspire to be as a nation and as Christians within it. Casey is a class act, and I'm sorry to see him go. I don't agree with the decision to fire him, but that's just my opinion. As for the upcoming election, once again I am trying to figure out who I dislike the least, rather than who I like the most. Well Rob and Roger, the three of us figure Casey deserved to stick around, but I don't think we'll be heard! Thanks for your comments.